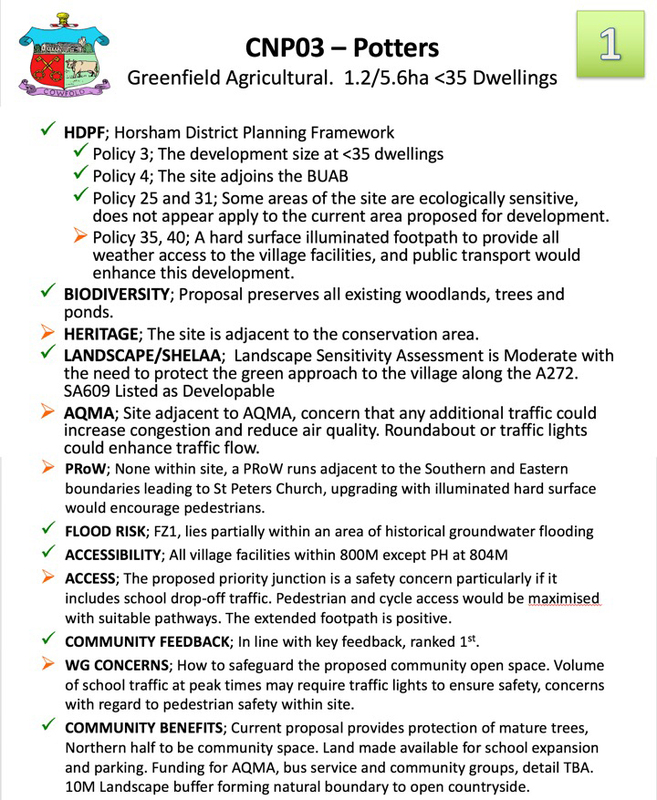 The Public Exhibition held on Friday 1 March was very well received, with some good feedback on the day regarding the information, the process and the presentations. 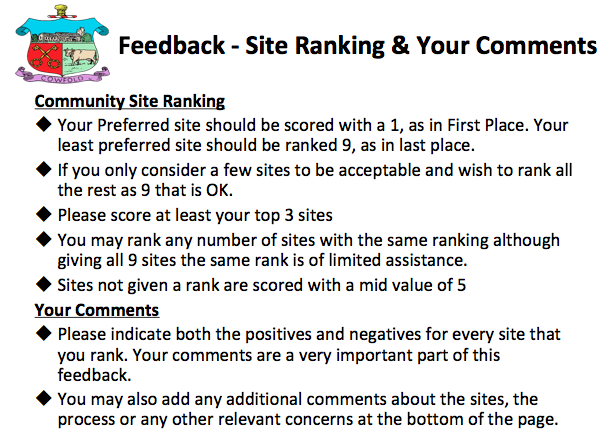 Initial counts indicate that we had 188 attendees with 125 feedback forms submitted, although we have not yet completed our analysis of all the data. 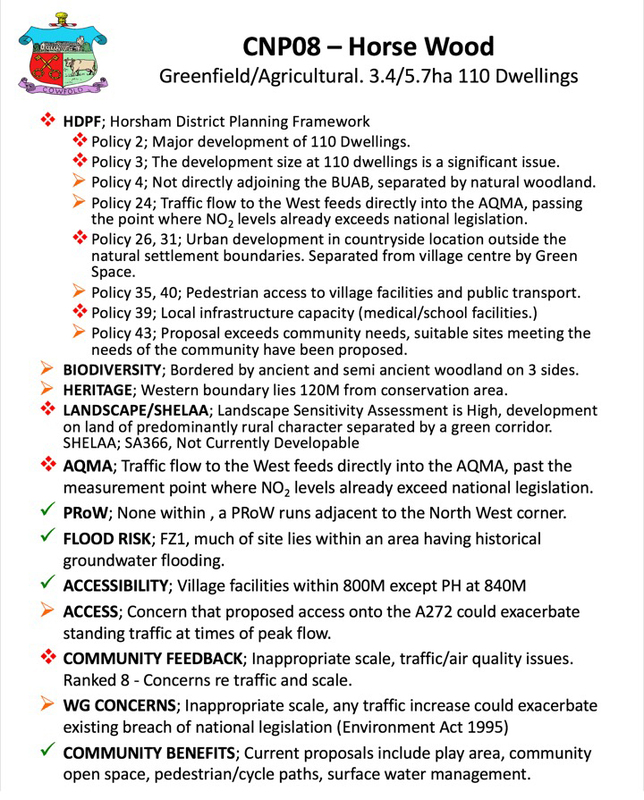 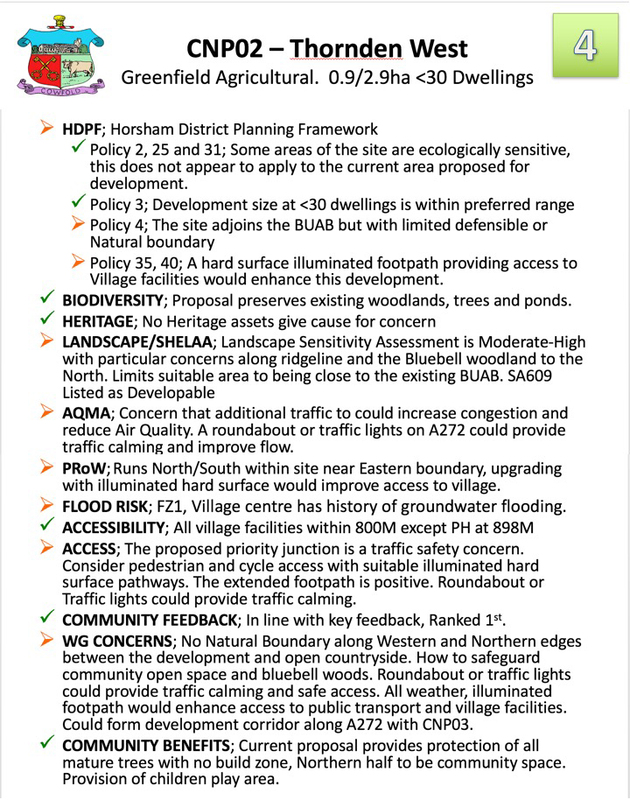 If you were unable to attend, the poster displays are reproduced below and you can provide your personal feedback by completing the online form at the bottom of the page. 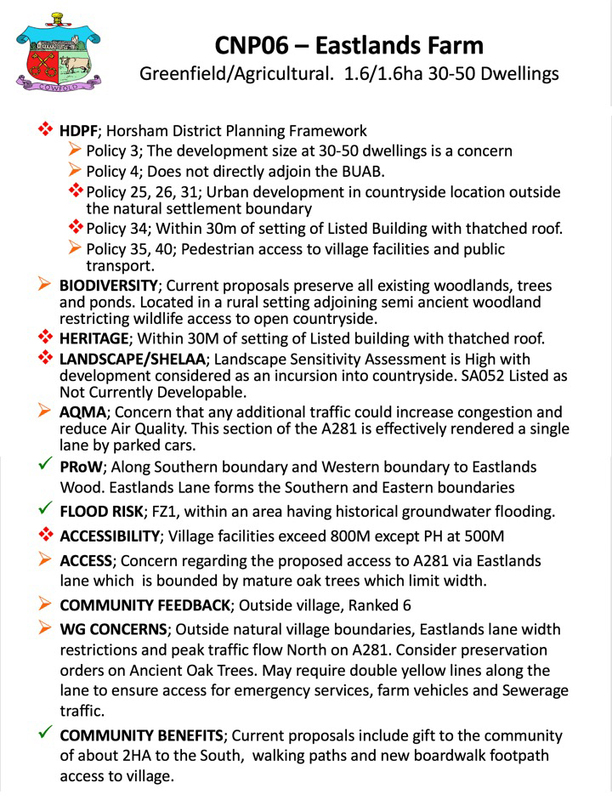 The calculation of the housing need in the village between now and 2031. 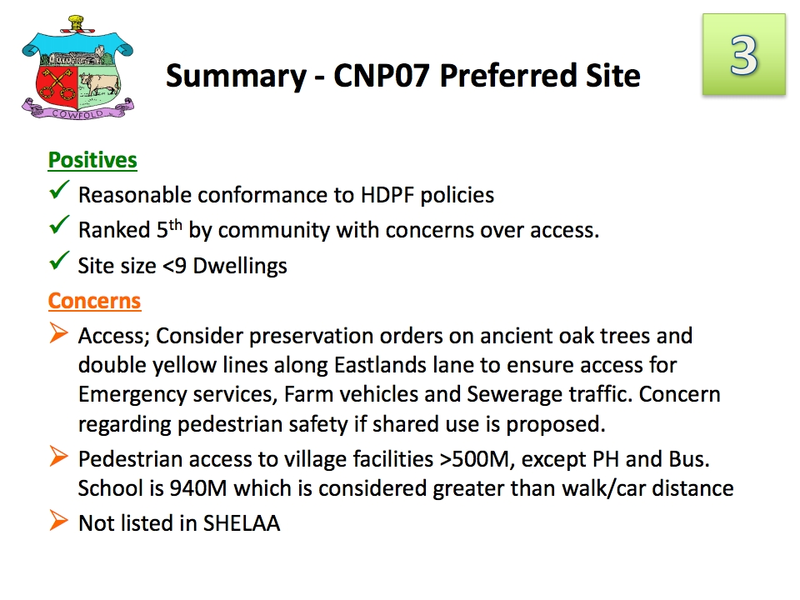 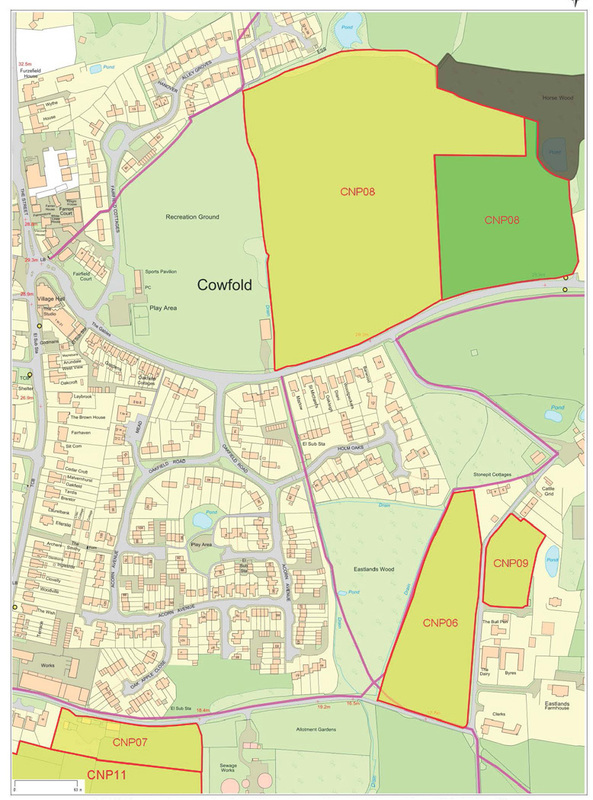 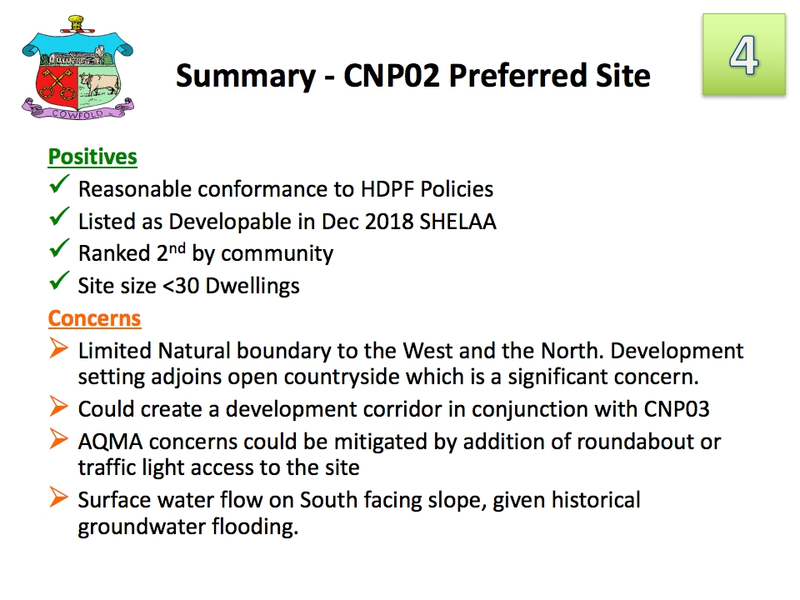 A total of nine sites were included in the Public Exhibition and four have been identified as Preferred Sites by the CNP Committee. 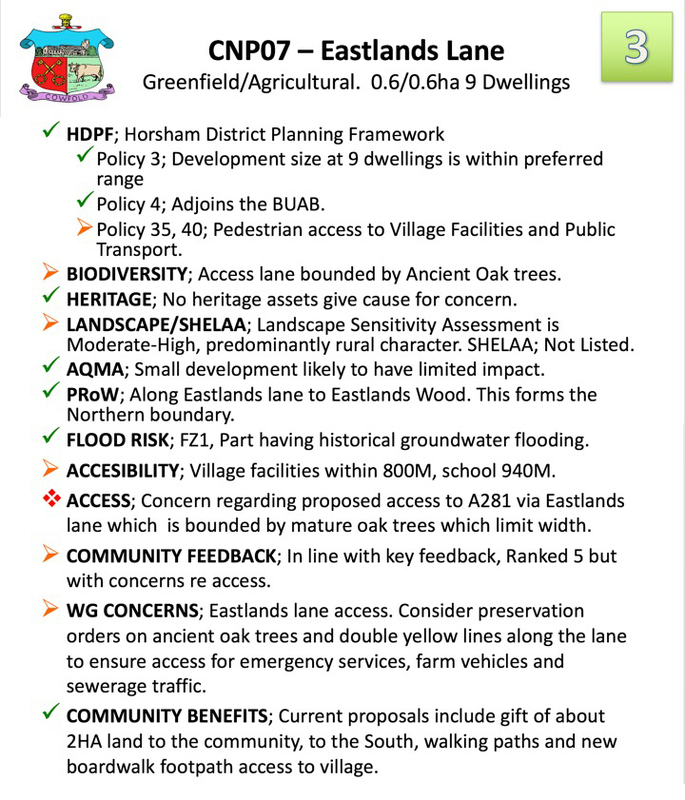 Summaries of these are presented below. 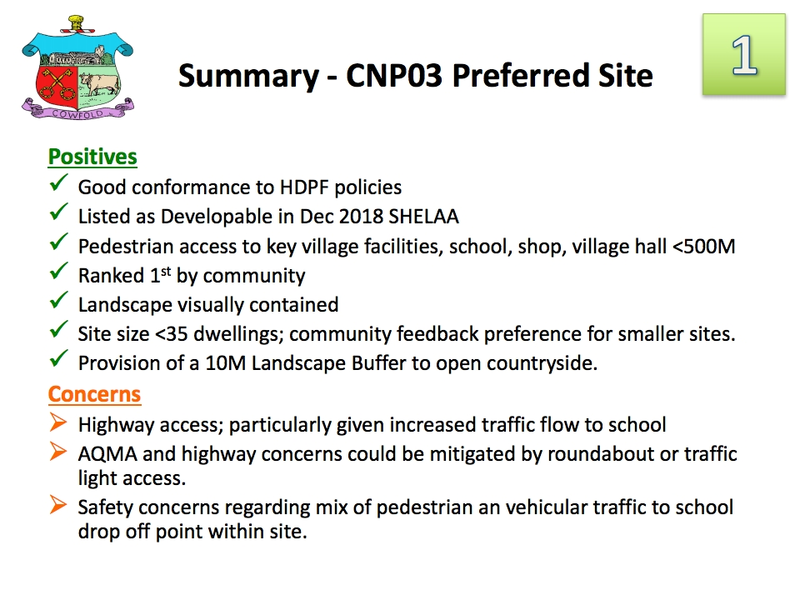 The presentation made by the developer is here. 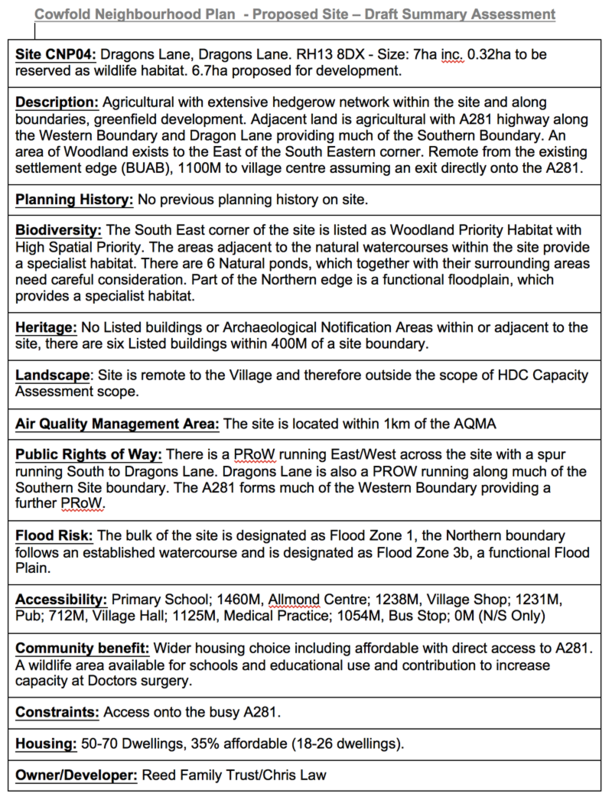 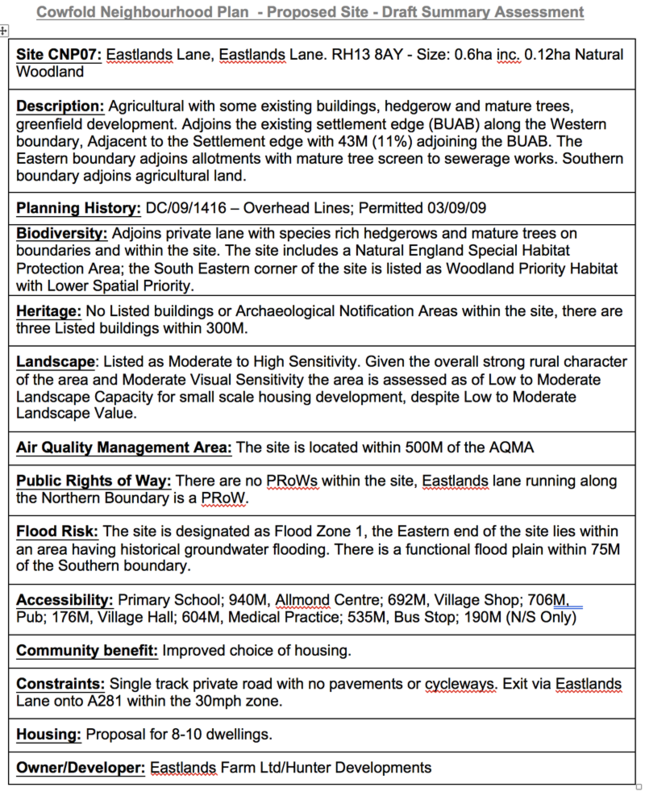 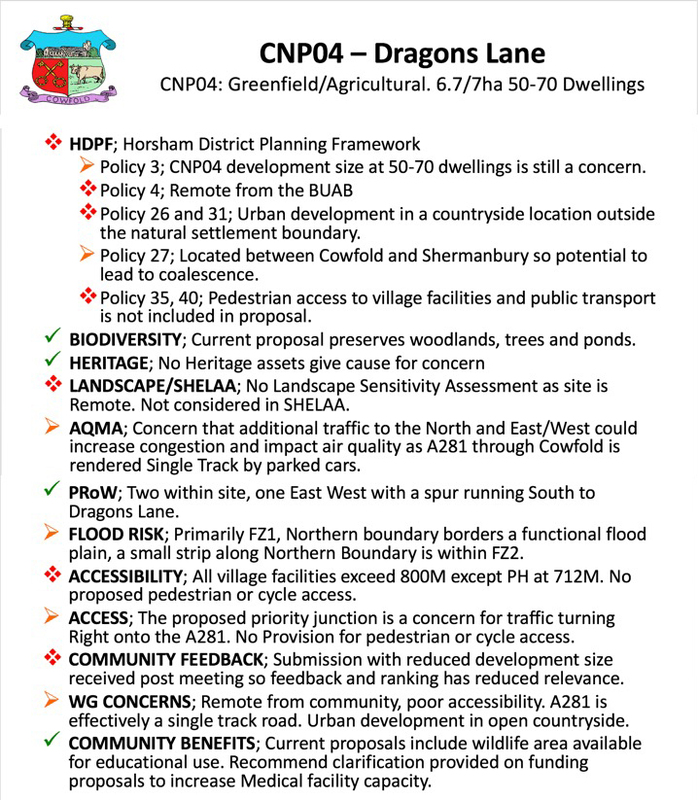 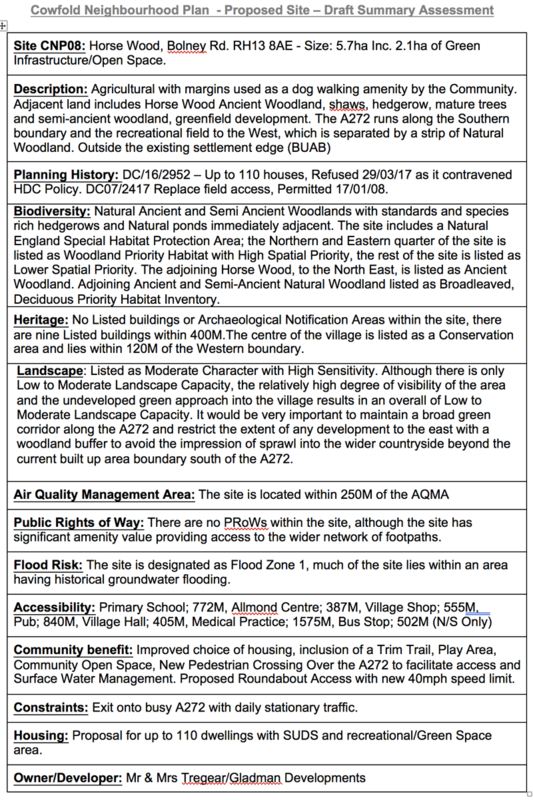 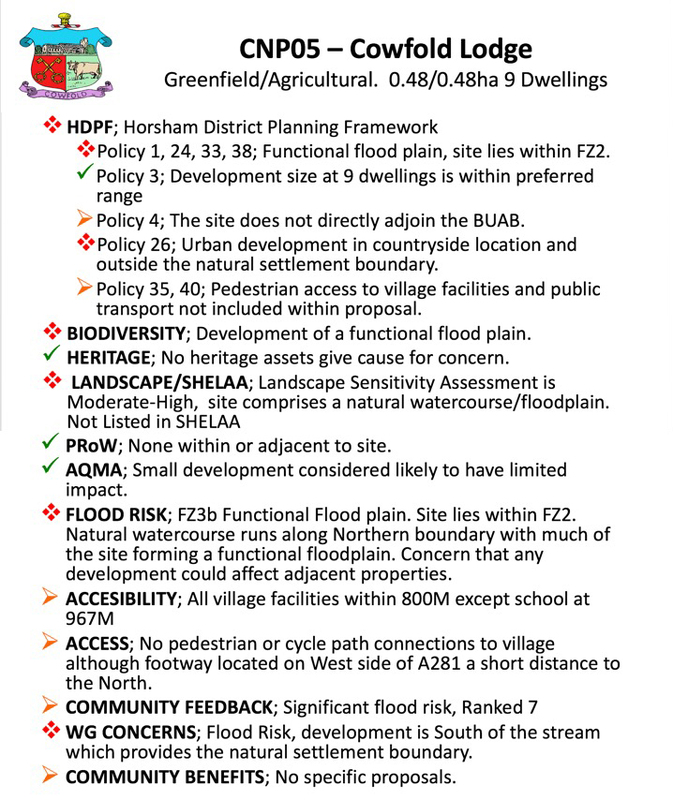 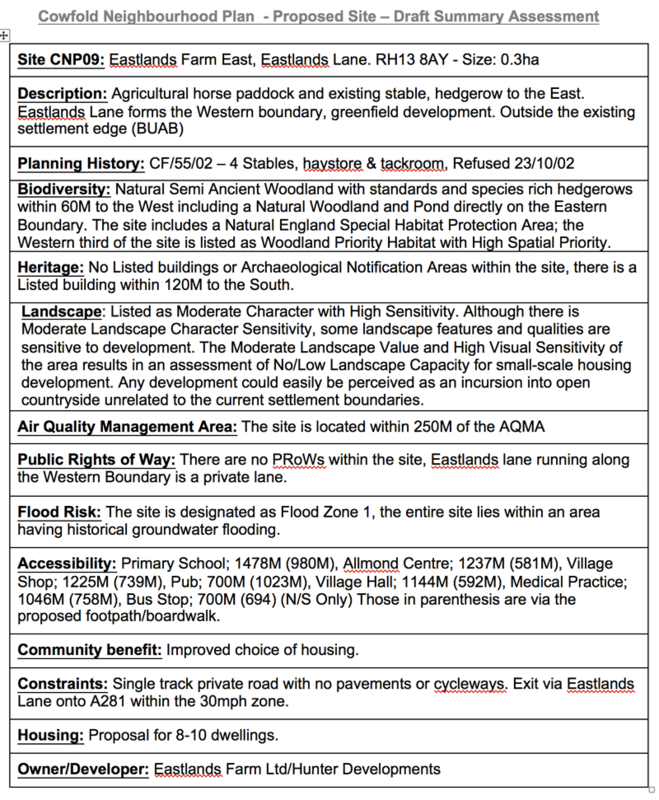 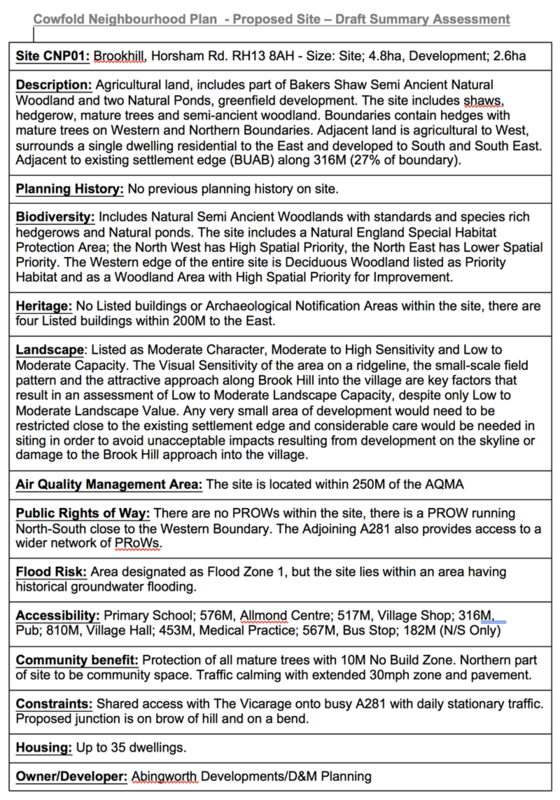 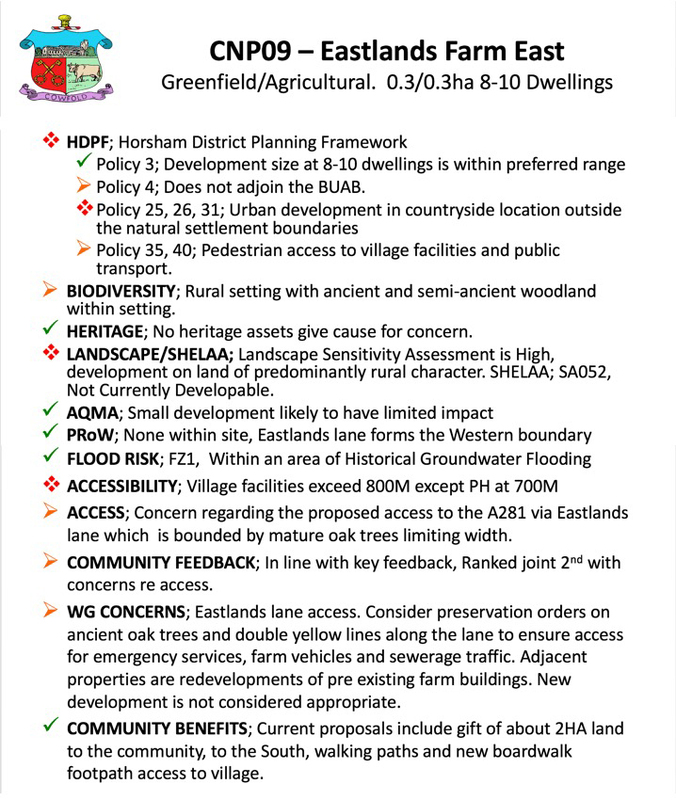 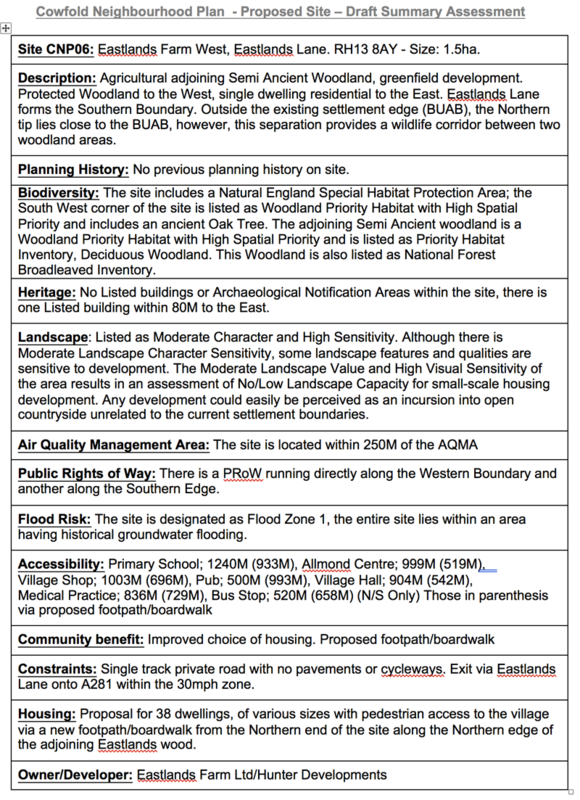 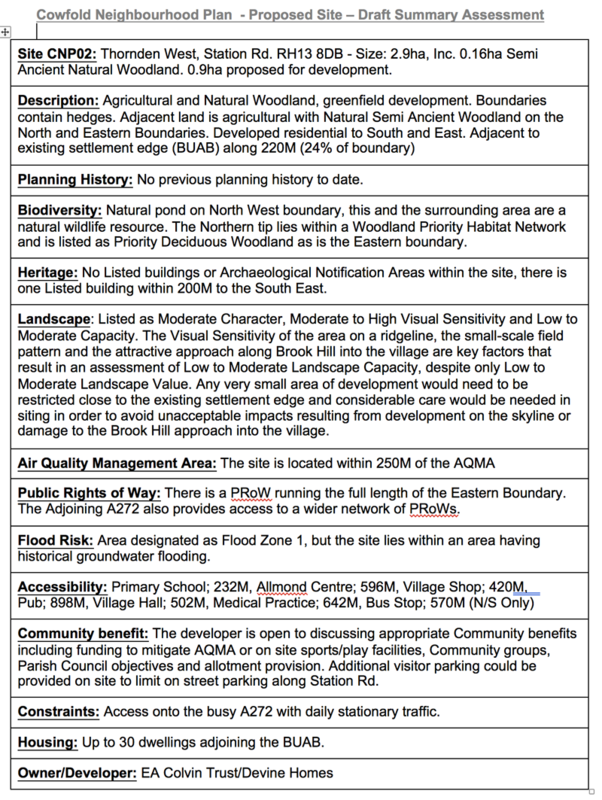 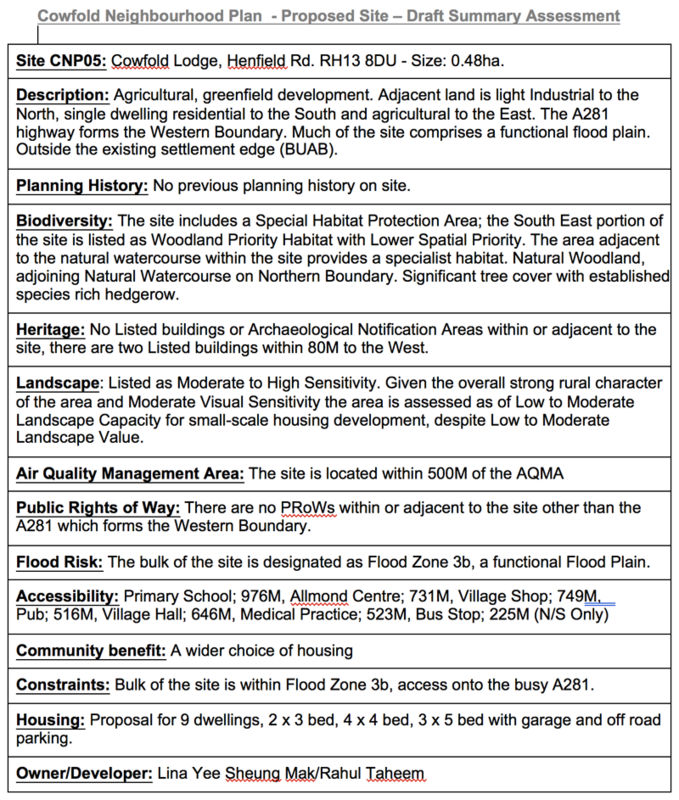 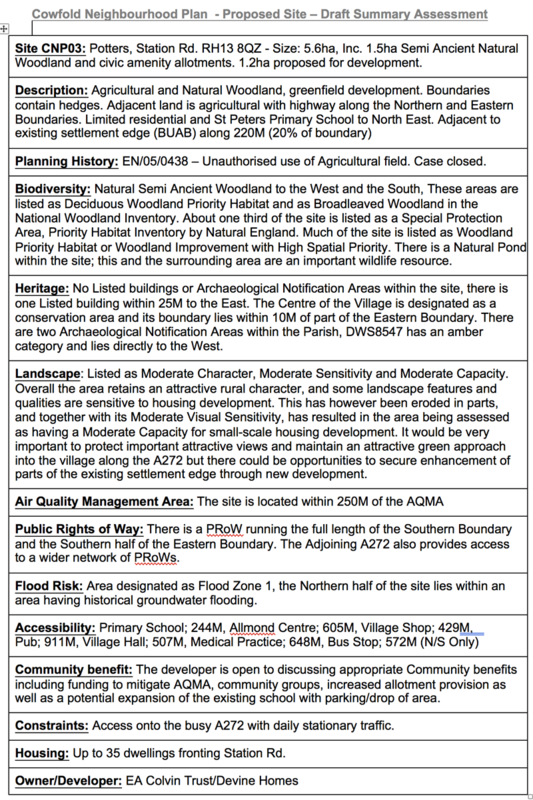 Other information on the proposed site, as presented in the Exhibition, is presented below. 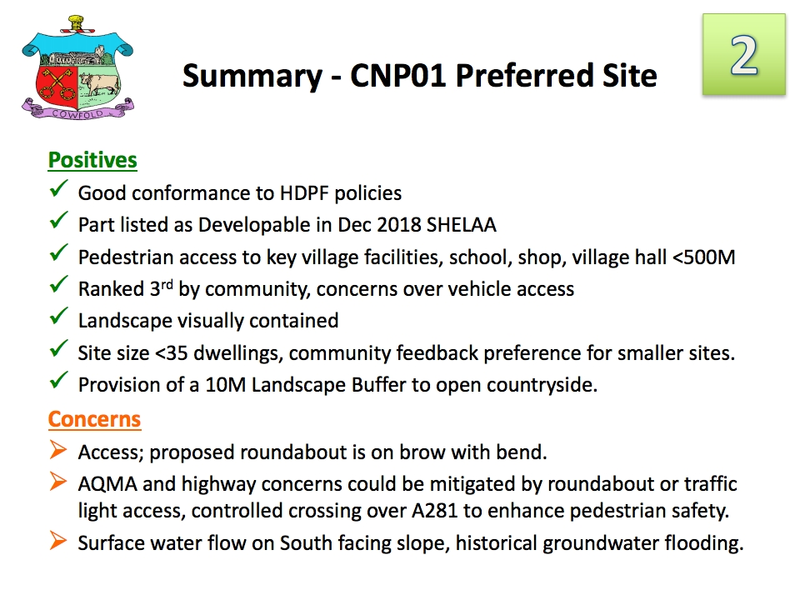 Note that the sites, CNP01 and CNP10, have now been combined into one site, CNP01. 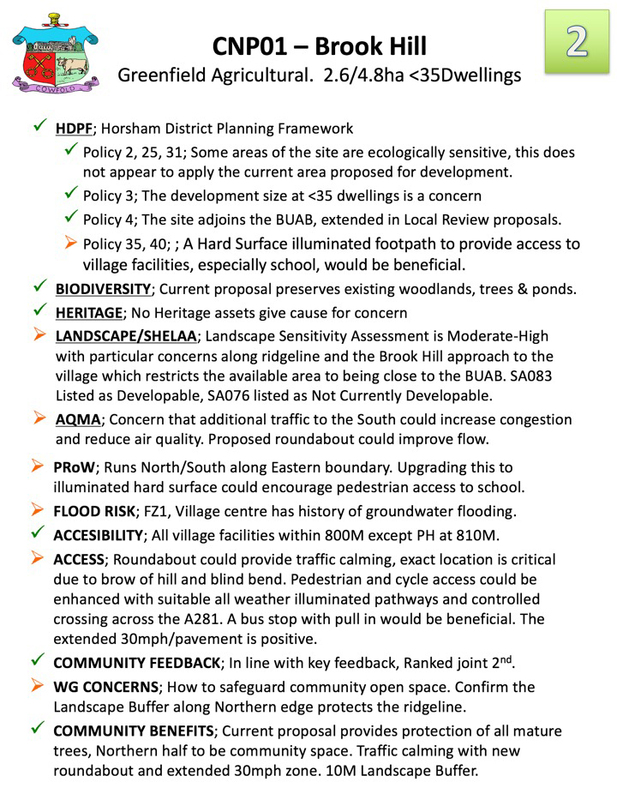 If you weren’t able to attend the Public Exhibition on 1 March and complete a feedback form then, please complete and submit the online form below.